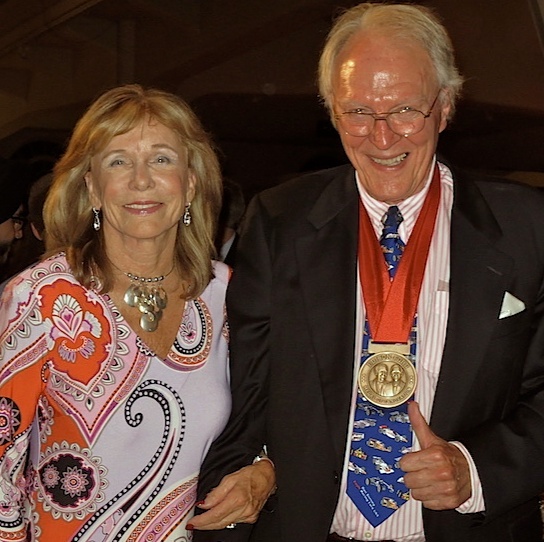 I first met Dan Gurney, when my wife, Yvonne, and I joined Stirling and Susie Moss at the St. James Club in Los Angeles in April 1990, when they celebrated their tenth wedding anniversary. 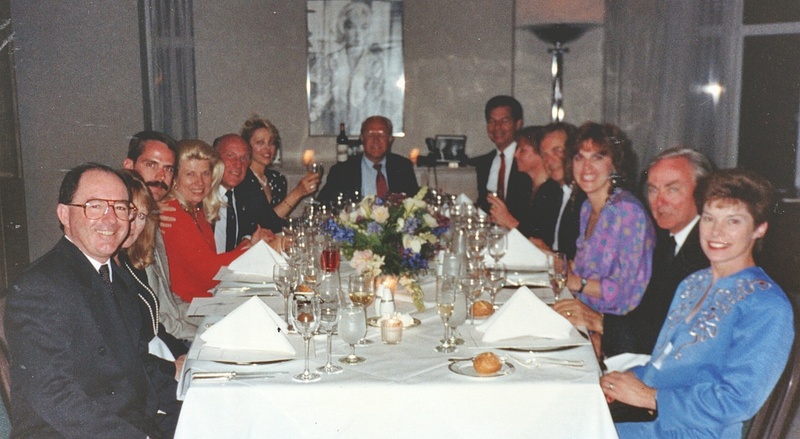 The Mosses' 10th anniversary was more like a 'Grand Tour' and was celebrated in London, Los Angeles and Milan. Dan and Evi arrived with Phil and Alma Hill, and we had a great time listening to the two American Grand Prix racers swap 'war stories' with our British host. 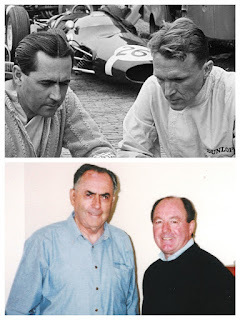 Stirling and Dan won an epic victory at the Nurburgring 1000 in 1960 driving a Maserati Tipo, and just three years later Jack Brabham hired Dan to race alongside him, in the newly-formed Brabham F1 team. 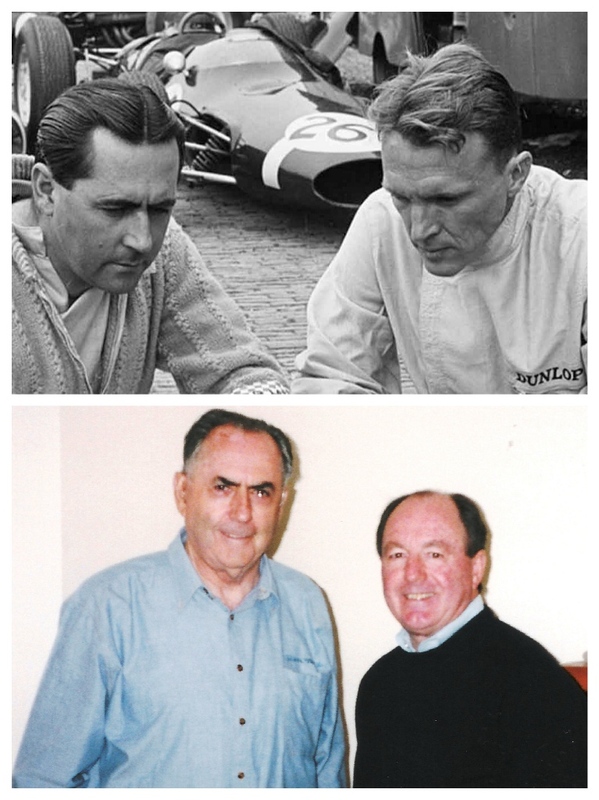 Dan won in Rouen for the Brabham team in 1964. I discussed Dan with Jack on many occasions during our long friendship. Jack said Gurney was one of the finest drivers he had ever met. Jack said his smooth, flowing, fluid style of operating a race car was like watching oil move over different surfaces. Later, when I joined Jaguar Cars North America, and was responsible for the management of Jaguar’s IMSA team media relations, I met with Dan a number of times throughout the 1991 and 1992 seasons on the IMSA circuit, when he was running a team of Toyotas. He’s one of those guys, who despite the number of people they meet, he never forgot a name. Whatever the racing category, everyone who knew Dan said he was a thorough gentleman. He was quiet, distinguished with a great generosity of spirit, but fearless on the track and quietly determined. Dan started his own F1 team, Anglo American Racers in 1965, using his own chassis and Weslake V12 engines. He was very competitive, however the team suffered many small, but immobilising problems. The only victory in his Eagle F1 car happened in Belgium in 1967. Dan died from complications with pneumonia on January 14, and I join the racing world in mourning his passing. 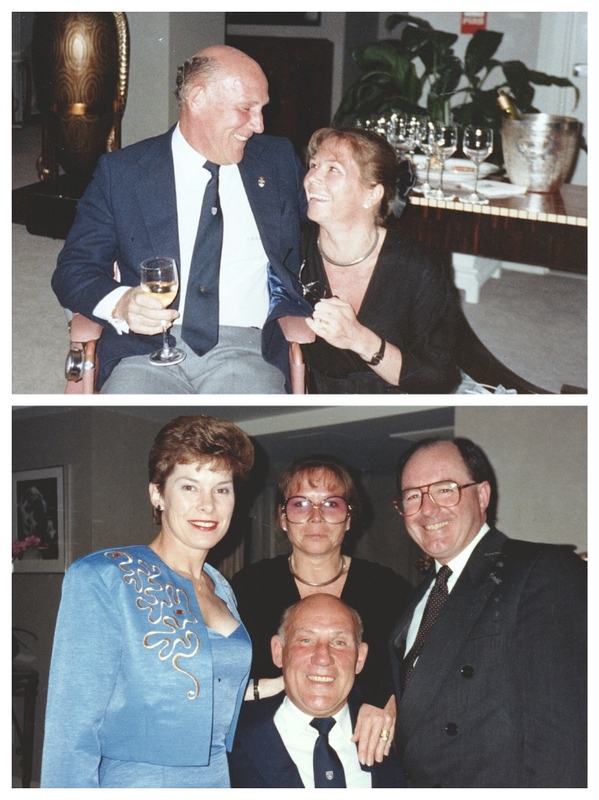 He and Evi were a wonderful couple, who raised four sons and were very popular dinner guests among their large circle of friends. Dan Gurney was tall, but he was also a giant. 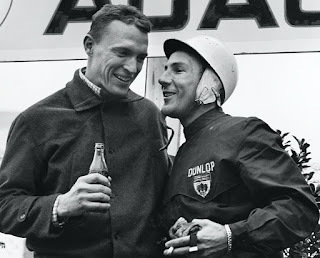 Valé Dan Gurney. Een zeer stijlvol replica rolex horloge, dit is een prachtig geschenk. Het ziet er zeer solide uit, het heeft een bepaald gewicht.Tips voor het kopen van een replica hier,Er zijn veel horloges met replica's van beroemde designermerken waar we zeker van zijn dat het van hoge kwaliteit en uiterlijk is.